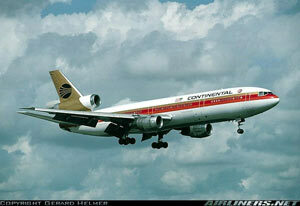 At approximately 0925 Pacific Standard Time on March 1, 1978, Continental Airlines Flight 603, a McDonnell Douglas Model DC-10-10 airplane, overran the departure end of Runway 6R at Los Angeles International Airport, California following a rejected takeoff. As the airplane departed the wet, load-bearing surface of the runway, the left main landing gear collapsed and fire erupted from the wing area. The airplane slid to a stop approximately 664 feet beyond the departure end of the runway. The left side of the airplane was destroyed. Of the 184 passengers, two infants, and 14 crewmembers on board, two passengers were killed and 28 passengers and three crewmembers were seriously injured during the evacuation of the airplane.